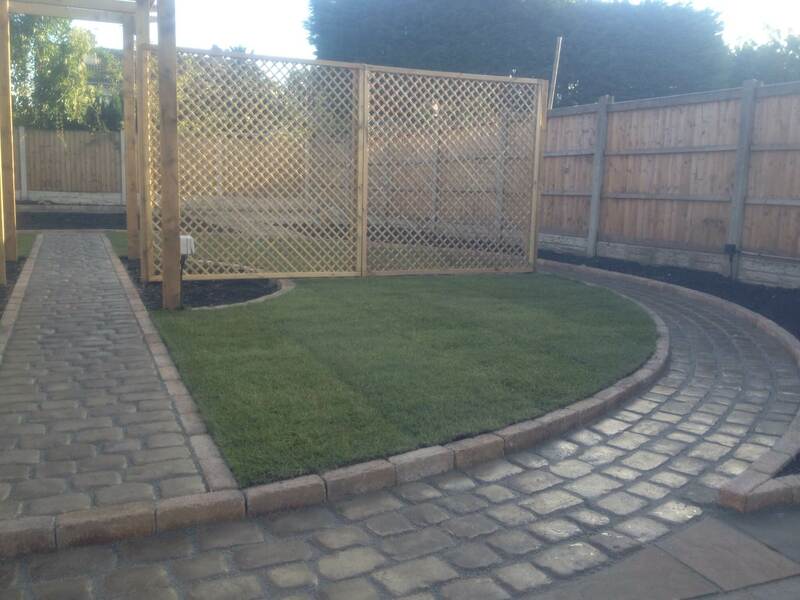 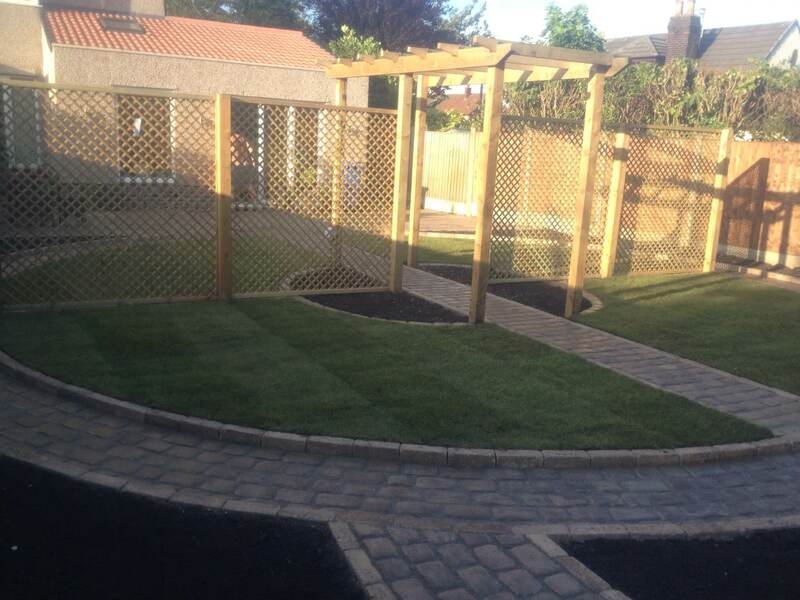 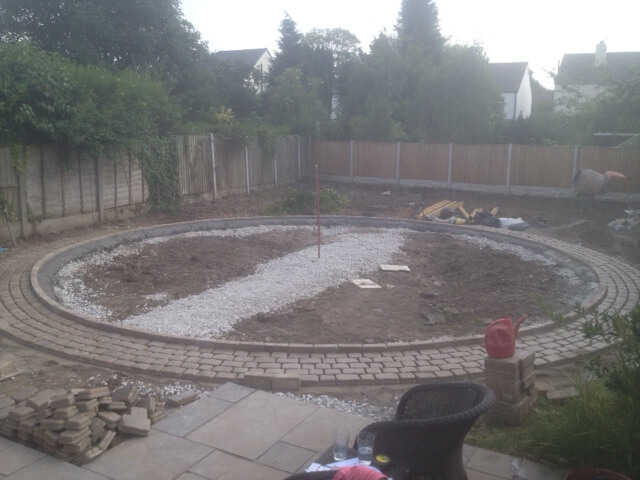 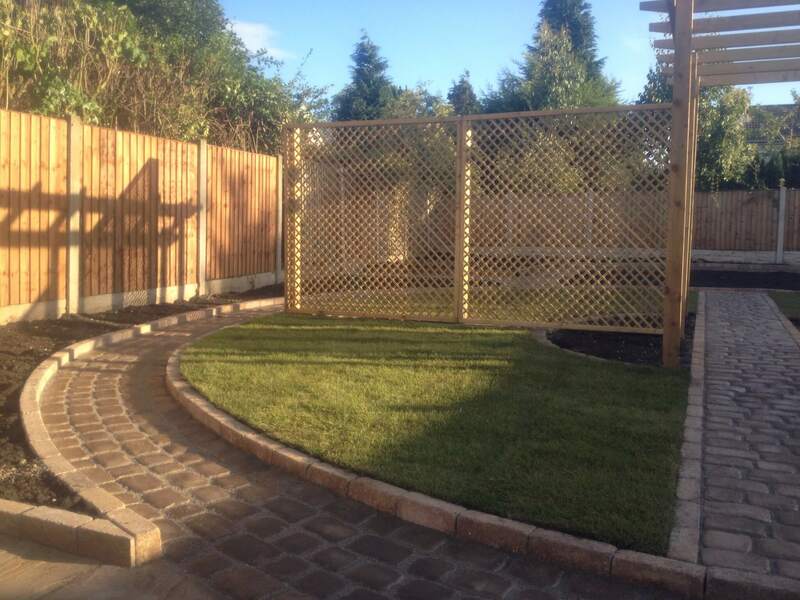 This project was to transform the rear garden by installing Marshalls Cobbletech paving system to create circle path around the garden. 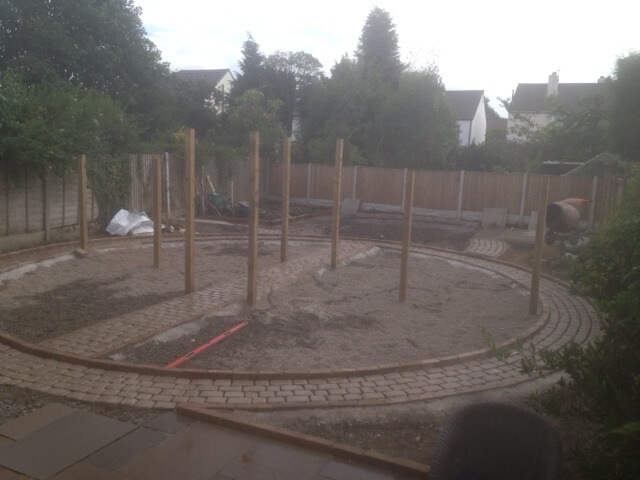 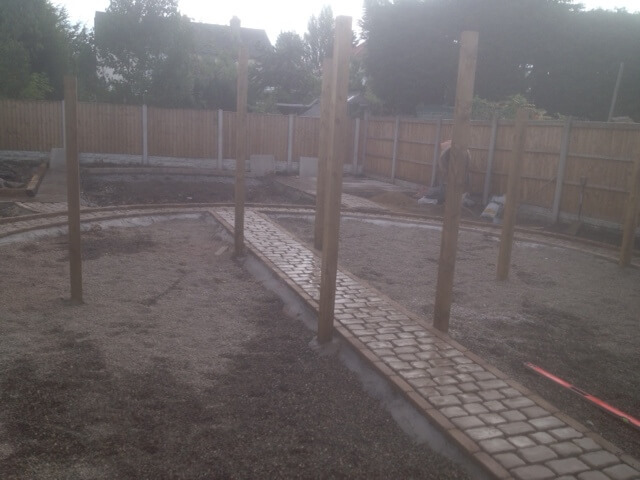 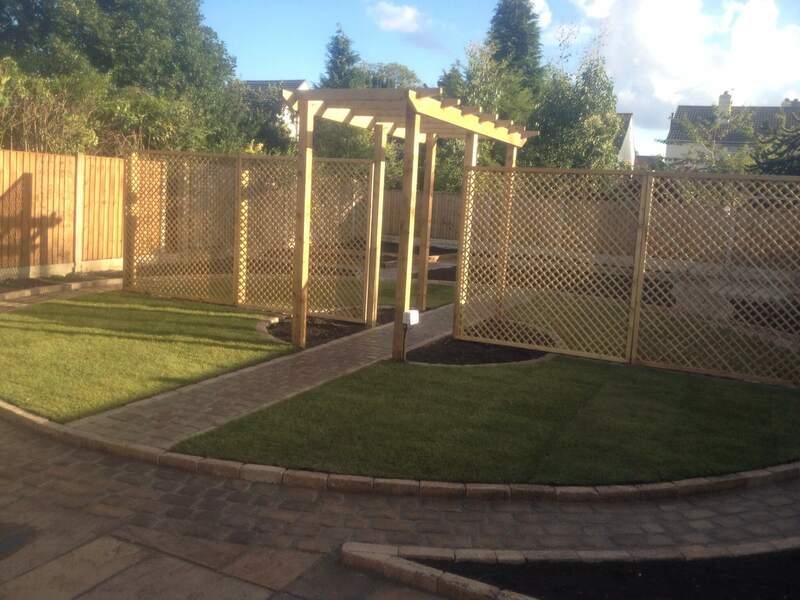 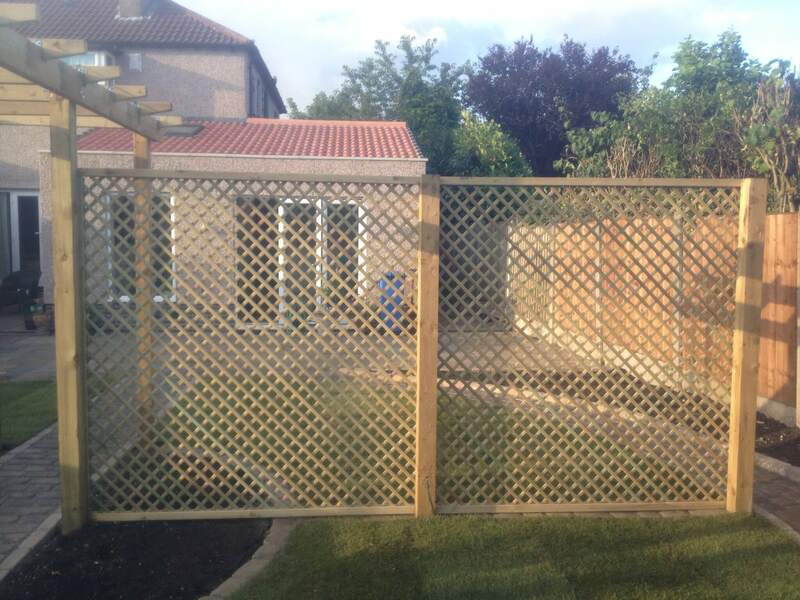 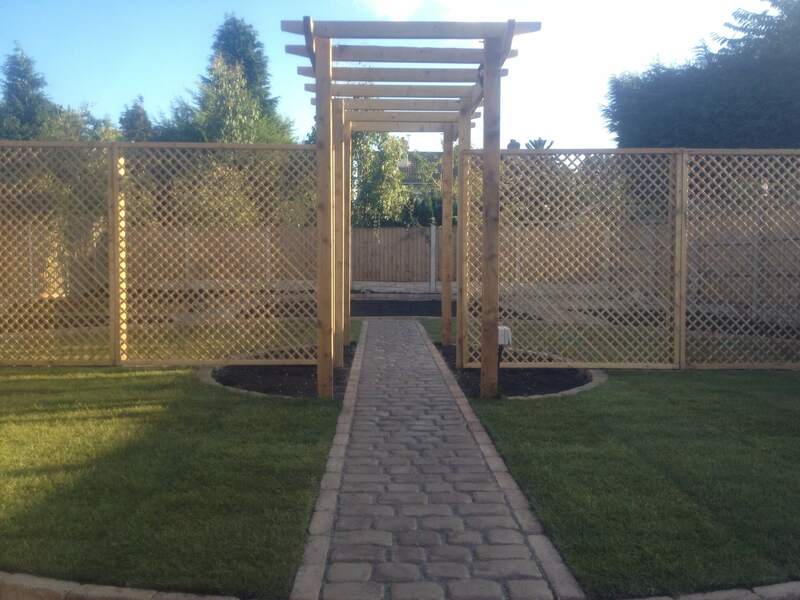 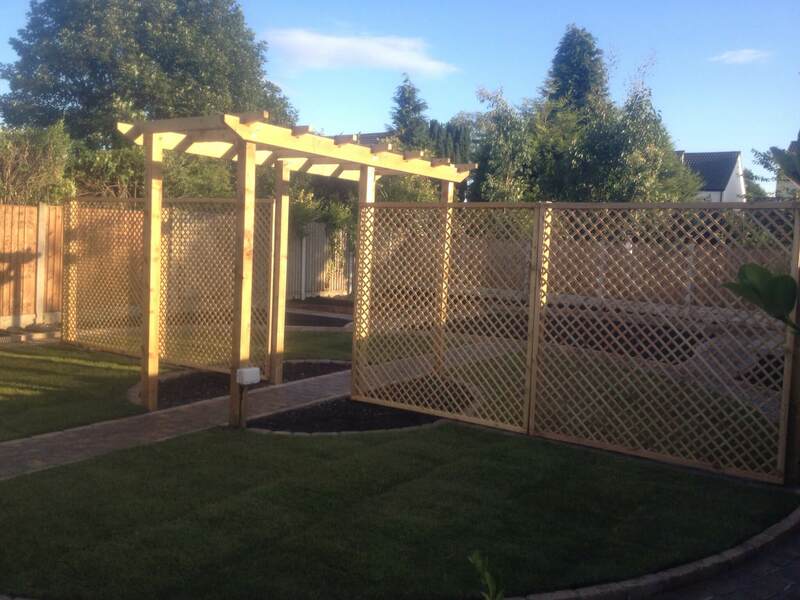 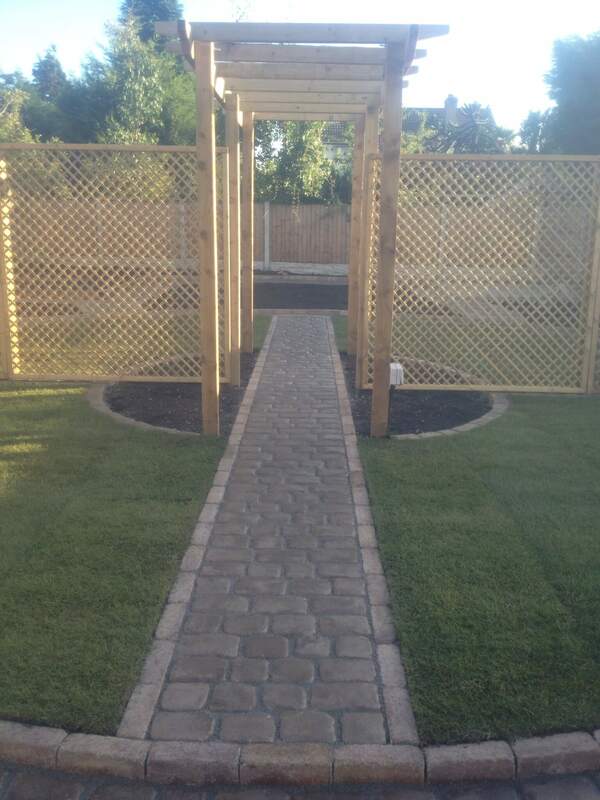 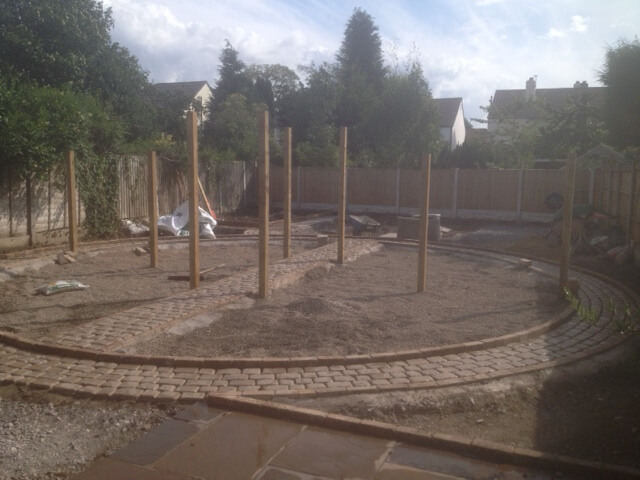 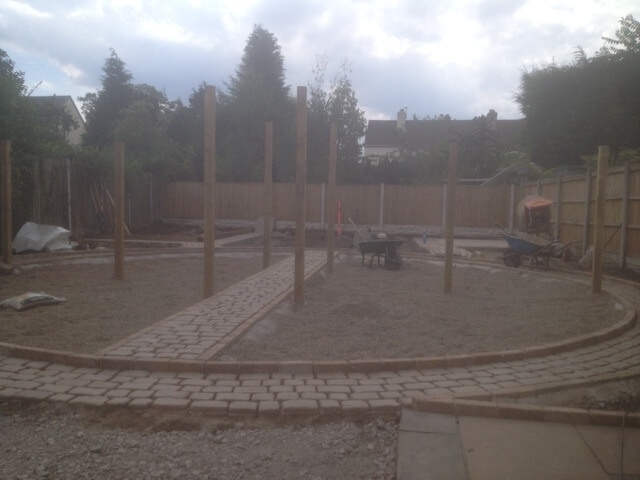 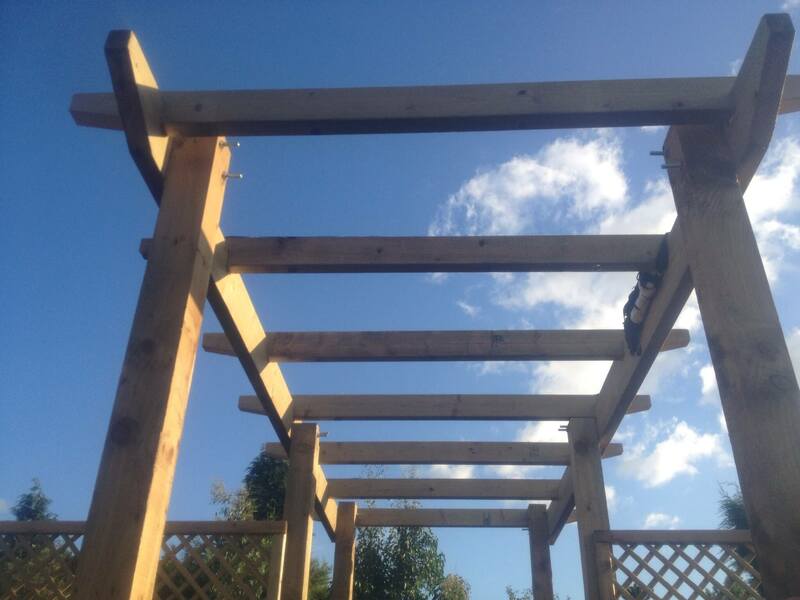 A path through the middle of the circle was also installed where a pergola was placed over the top and a trellis placed either side. 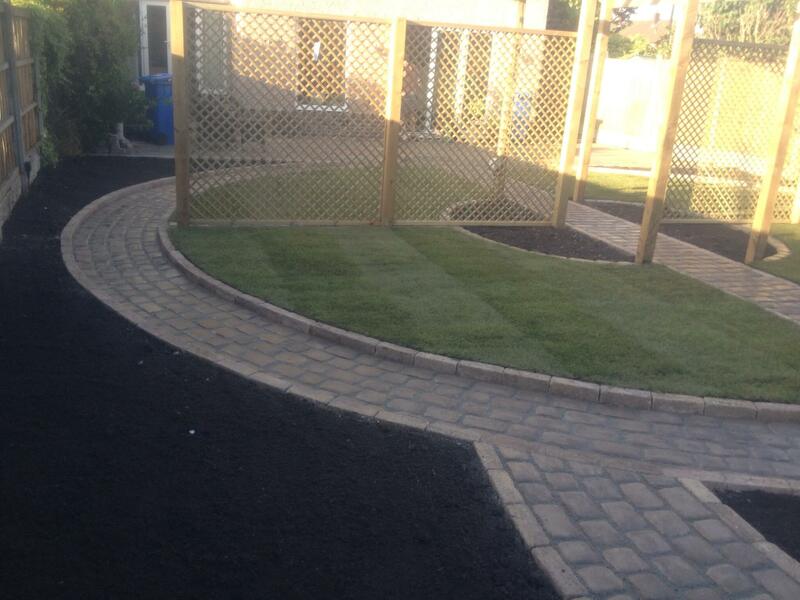 We were also creating a mowing edge in front of where turf would be going and then later install new turf. 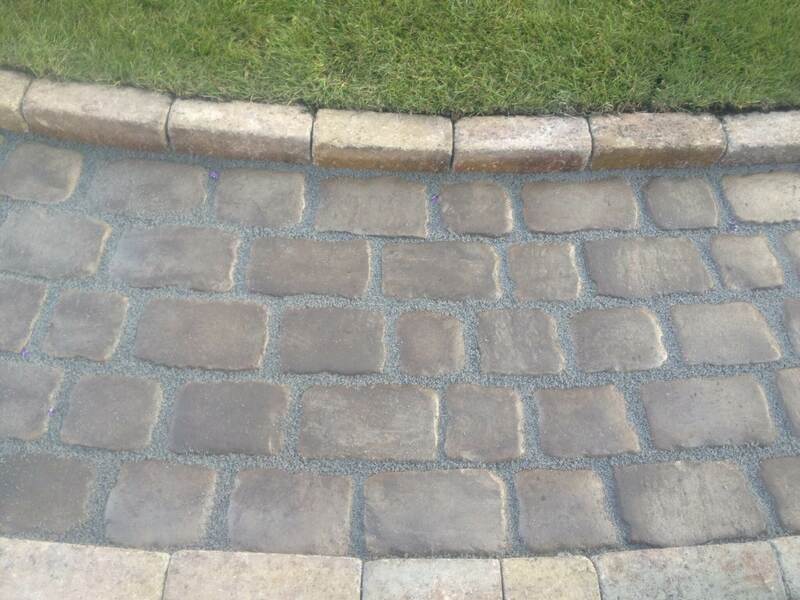 Drivesett kerbs were installed around the circle to support and retain the Cobbletech path. 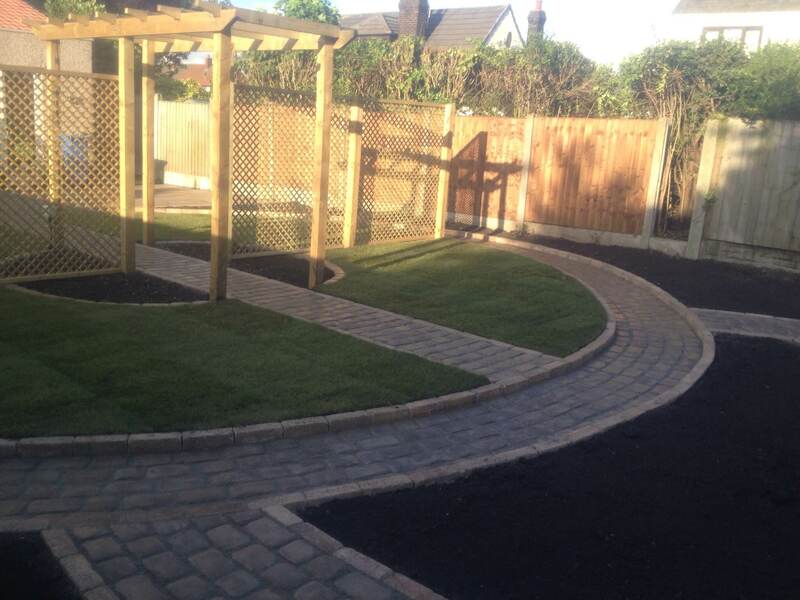 Another part of this project was to install railway sleepers to create a raised veg path to the left of the rear of the garden. 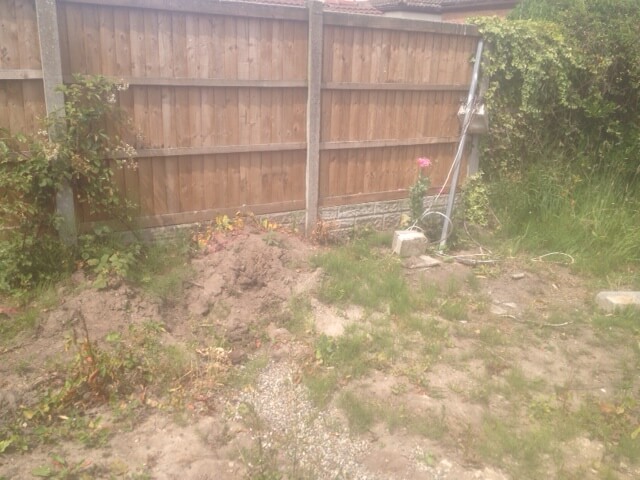 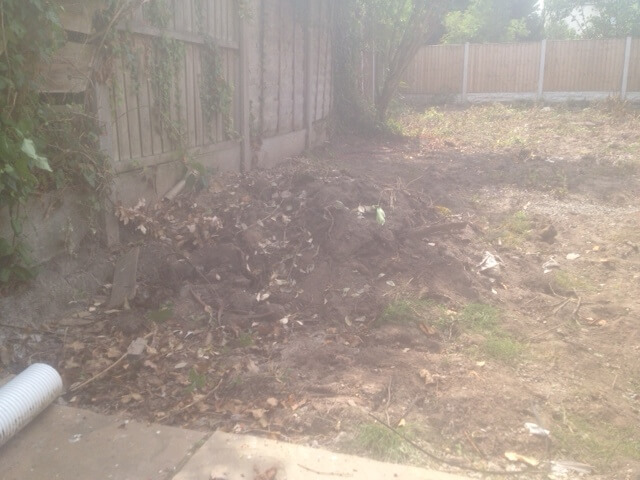 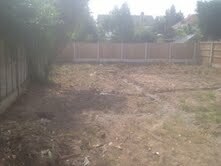 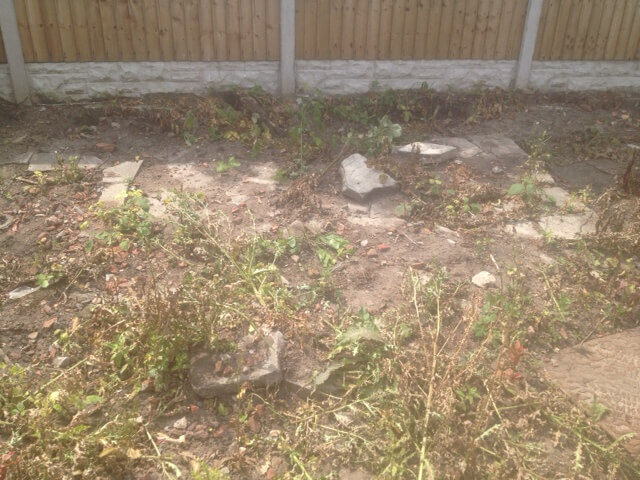 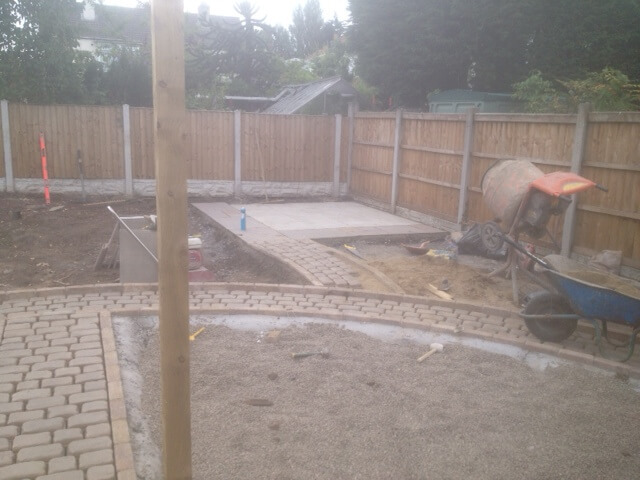 In the opposite corner (the right corner) we were installing a shed base ready for a shed to be installed. 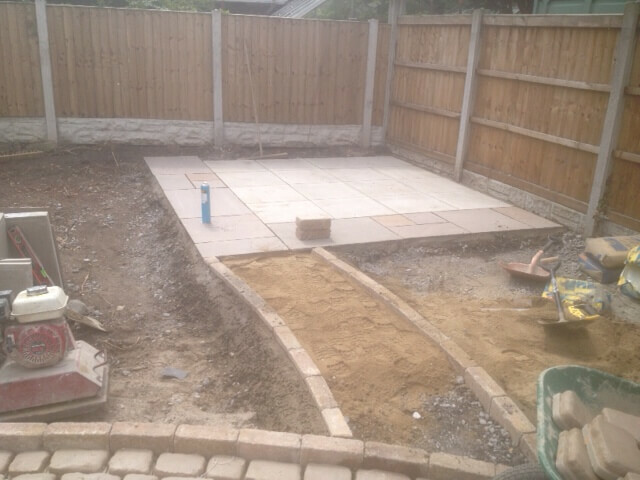 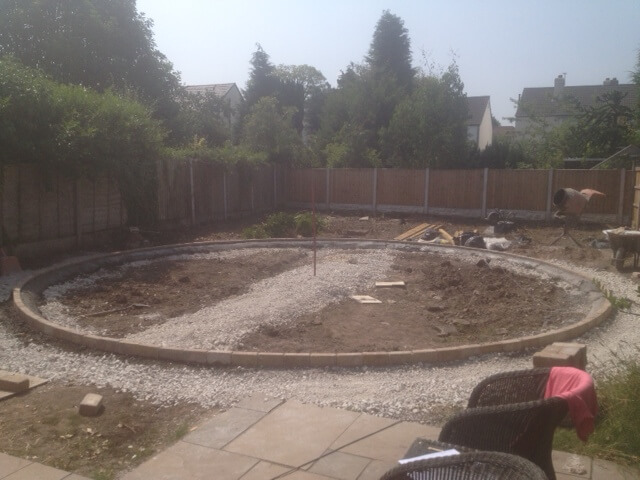 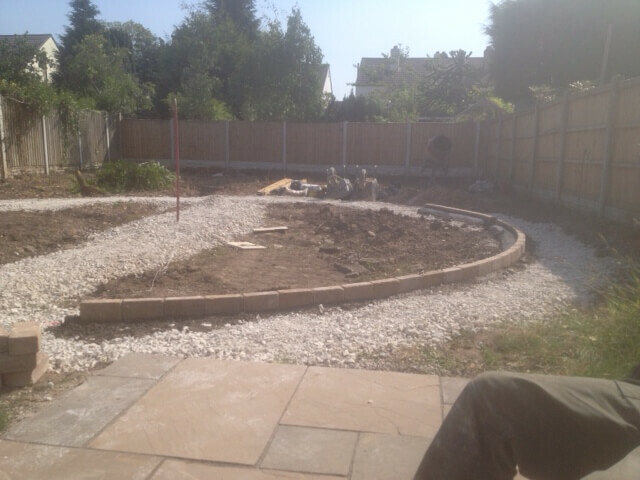 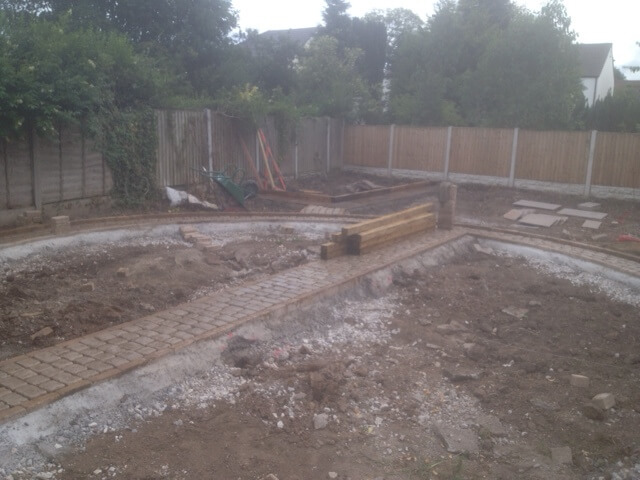 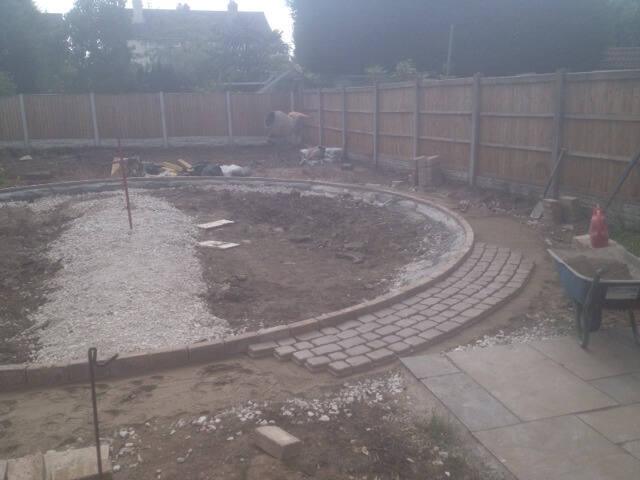 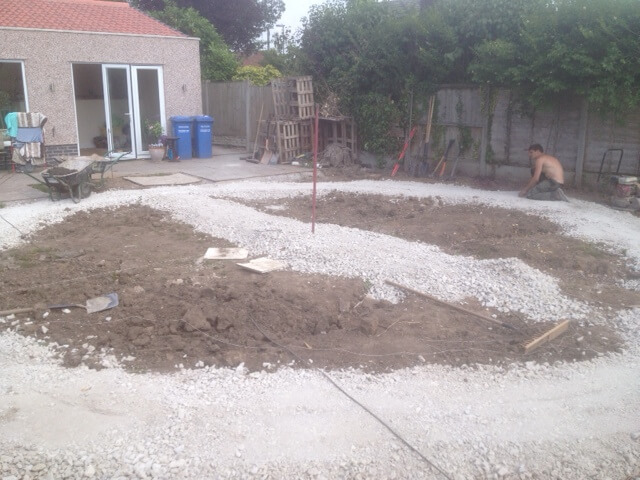 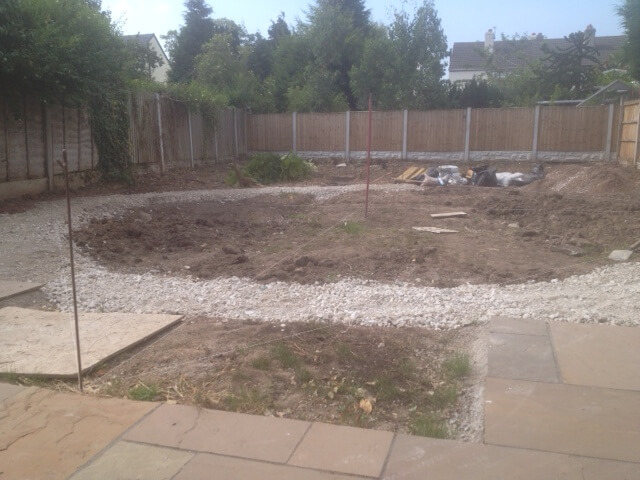 We were extending an existing patio and lead paths to and from the circle. 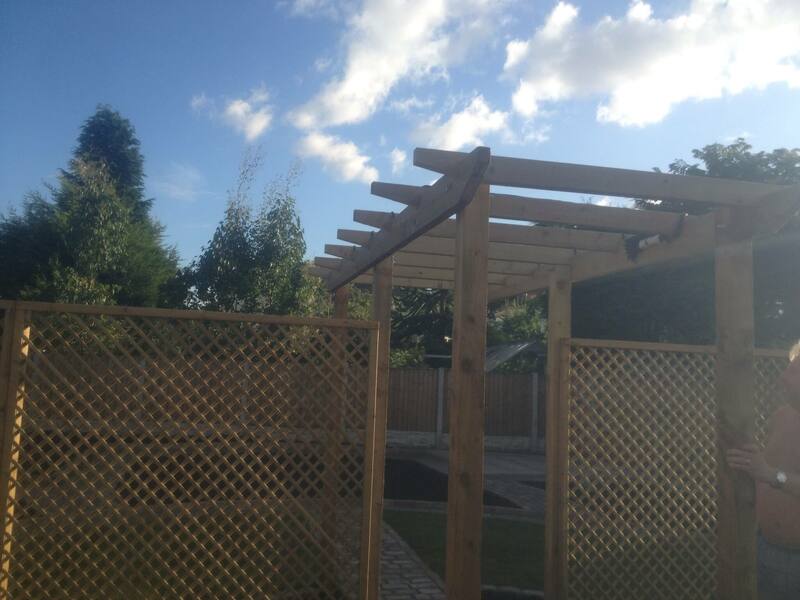 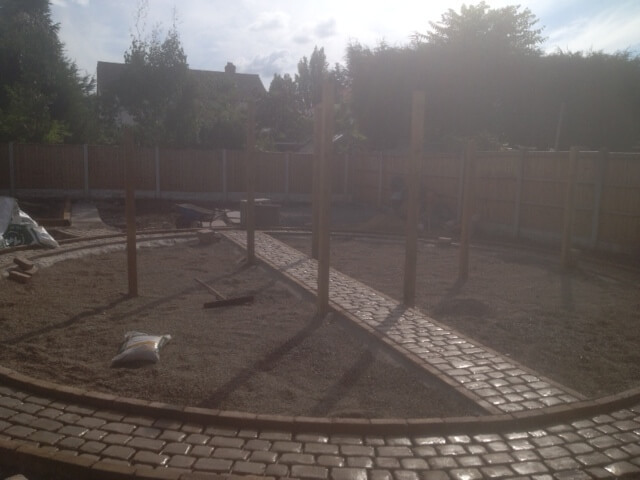 As an extra feature to the pergola, we were installing 10 LED spotlights which would look fantastic at night.